Gerry assists clients with audits, audit appeals and mediations in federal and state matters. He is a 36 year veteran of the Internal Revenue Service (IRS), where he worked as a Senior Appeals Officer and Lead Mediator in Appeals; International Examiner and Revenue Agent in the Audit Division prior to his Appeals experience. Through his in-depth knowledge of the IRS audit, appeals, and mediation procedures, Gerry is able to help clients navigate the complex IRS process at all levels. 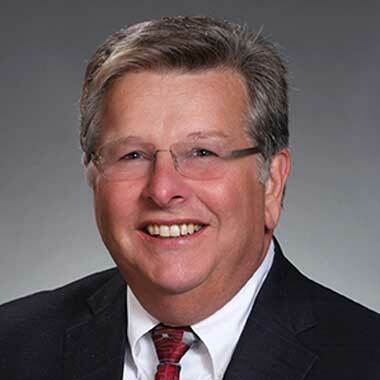 Upon retirement from the IRS, Gerry worked for Ernst & Young (EY) in their tax controversy practice where his knowledge and experiences during his 36 years with the IRS was utilized nationwide by EY clients in a variety of matters before the Audit and Appeals Divisions. Gerry is a Certified Public Accountant with a Masters in Taxation. Representing taxpayers before the audit divisions of the IRS and Massachusetts Department of Revenue (DOR) in order to bring successful conclusions to audits at the audit level. This may include the use of the mediation process, where he previously served as a lead mediator in IRS Appeals Division. Representing taxpayers during the appeals process before the IRS and DOR. Gerry’s negotiation skills and in-depth knowledge of the appeals process are critical to helping clients reach settlements. Lectured in the private sector and consulted on matters regarding the IRS Appeals Judicial Approach and Culture (AJAC), as well as the mediation process. Before going into private practice, Gerry spent 36 years working at the IRS. Upon retiring from the IRS he worked for 3 years at EY in their Tax Controversy Group where his knowledge and experiences were used by EY clients nationwide.